At Eyeweb, we don’t do cookie cutter, template websites – we develop everything from scratch, in fully bespoke websites that are designed to perform for our customers. Our talented team of in-house coders and designers don’t just sit there coding – they use a selection of the latest web development tools to help optimise the design and build process, and ensure that all the websites we build work exactly as they should. In this post, we look at some of the tools and software packages we use as part of the development process, to support our teams and ensure that we always deliver for our clients. At Eyeweb, we believe strongly in the value of prototyping (so much we wrote this blog about it!) – and for that, we usually use InVision. It enables us to create prototype websites with clickable elements, so our clients can see how their finished website will look (and function) before we build it. 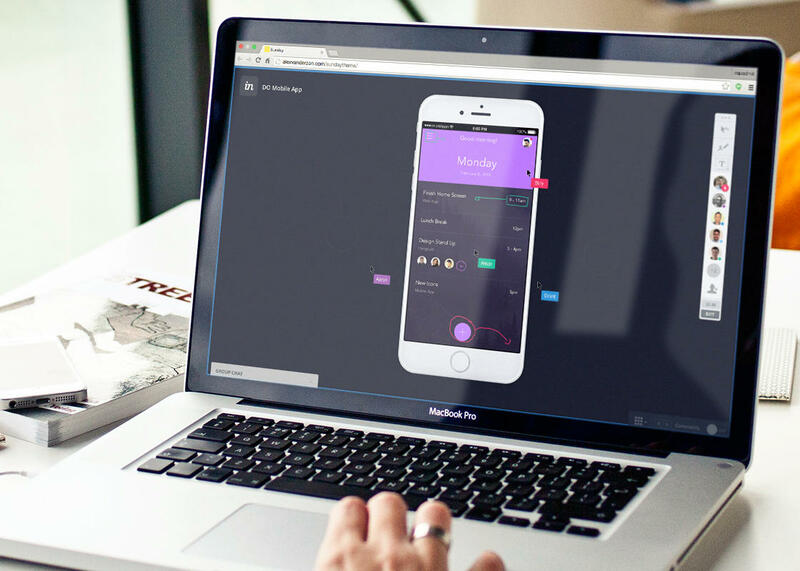 Our team uses InVision on almost every project – it’s a fantastic, all in one project workflow, wireframing and prototyping platform, helping to ensure that projects run smoothly, to time, and fit each client’s requirements exactly. Sketch is a great toolkit that helps to streamline the design process – it includes a range of really useful tools that make working with repeated design elements really easy. In essence, it helps with every step of the design process, from initial ideas, right through to updates and re-designs. Sketch also allows cloud collaboration between the design and development team and the client. We can showcase and share interactive prototypes with our client – helping to ensure that everyone is on the same page throughout the project. 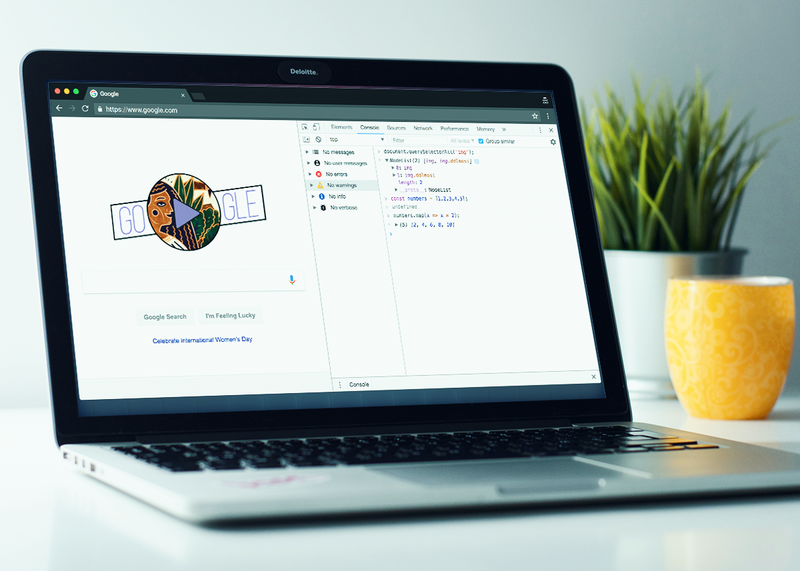 This code editor offers a range of advanced tools to help improve the web design process. It makes finding specific pieces of code and changing elements much quicker and easier. Sublime Text also has a handy feature that maximises the display of code across multiple monitors – great news for our designers and developers that use two screens. The result is optimised, streamlined editing, so we can design websites and make changes more quickly and efficiently. When it comes to troubleshooting, problem-solving, optimising and debugging – Chrome DevTools is an essential part of our design arsenal. We use it extensively at the tail end of projects, to optimise the speed and performance of websites, and to ensure that all the design elements and styles look right and that the website works exactly as it should. Foundation for Sites offers a wide range of front-end frameworks – it’s great for turning prototype designs into working sites. Although we offer fully customised sites – it’s much easier and more efficient to design a website once the basic building blocks have been put in place. This is what Foundation does, providing our team with a template foundation structure that we can then build and design on. It helps our team in bringing ideas to life in beautiful websites that work in the real world. Is your website performing as you want it to? Do you want a website that’s as unique as your business, and completely focused on your commercial goals? At Eyeweb, we specialise in the development of bespoke, fully customised websites designed to help your business perform online. With extensive experience and access to all the latest technology, we’ll deliver the right technical solutions required to meet the online requirements of your business. For additional information, or to arrange a free, no obligation web design and development consultation, please get in touch by calling 01482 628830, or by emailing hello@eyeweb.co.uk today.